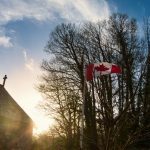 After living in Canada for over 3 years I became endlessly fascinated by the little differences in language and culture I came across – and I finally understood why Brits living in North America seem to develop that strange hybrid speech pattern that’s so easy to ridicule. Living overseas taught me a lot about life but it also taught me a whole new vocabulary, much of it necessary in order for those around you to understand what on earth you’re actually talking about. 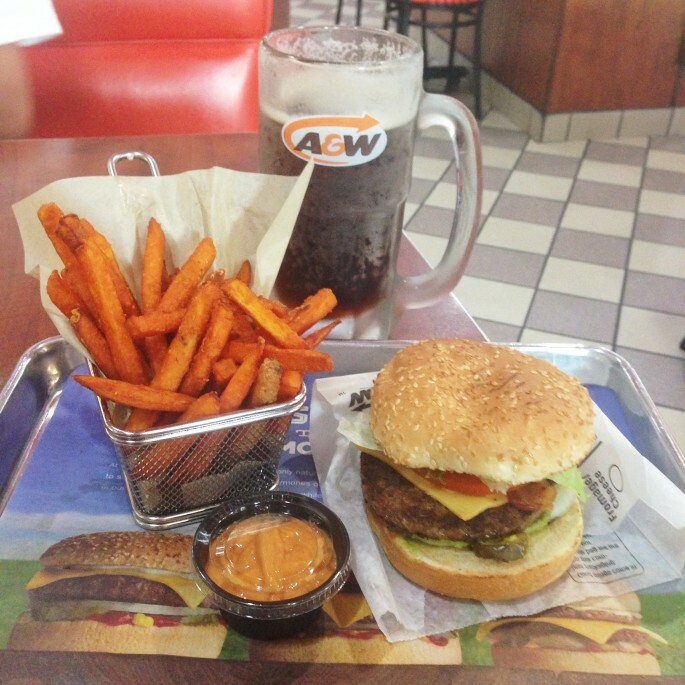 A is for A&W, the second-largest fast food outlet in Canada after those Golden Arches, but to my mind far superior – and they have sweet potato fries which is a major win, and let’s face it almost as good for you as eating a salad. There are 800 A&W’s in this country and I think I’m doing my bit to support as many of them as I can. B is for biscuits. Which, in fact are scones to us British folks. Because real biscuits are called cookies. Confused much? As a side note B is also for Butter Tarts, my devotion to which has been detailed elsewhere. C is for camping, which is one of my favourite things about life here. But I’ll be honest, the only time I used the word camping before I moved to Canada was in the sentence ‘You’re going camping this weekend? Oh I’d love to join you but I can’t because a big raccoon stole my tent.’ Note: this isn’t true, we don’t have raccoons in England. I was just trying to get out of going camping. I was doing a Joey-style lie. If you watch Friends you’ll know what I mean. D is for donair, that’s what the Canadians call a kebab. I’m never sure how Doner Kebab became donair, but I’m fairly sure no-one else in the world calls it that. E is for ‘Eh!’. The one little word that absolutely and totally defines Canadian speech and which is 100% infectious. I’m not sure what I did without it all those years. F is for fringe, which is a perfectly fine word to say here if you’re discussing obscure theatre or perhaps the detailing on a leather jacket but absolutely not if you’re talking about the front of your hair, which of course over here is called bangs. I’ve never understood this one – fringe seems to describe the thing perfectly, whereas bangs, apart from anything else, is mysteriously plural, as if you have two of them. In which case in England we’d call them curtains. Further investigation traces the word back to the practice of cutting the hair ‘bang-off’, and to the bang-tail cut you give a horse, so there you are, we’ve both learned a little something. G is for garbage. Saying rubbish seemed to be met with a perplexed look so I’m guilty of saying garbage now and will be ridiculed on my return to Europe, quite rightly, by my friends who’ll probably mimic me and say ‘gaarrrbage’ in a phony over-exaggerated American accent to make me feel foolish, but that’s just because they love me. H is for ‘Holy!’ – as in an exclamation of surprise or shock. In London I did have a phase of saying ‘Shut.Up’ which I still enjoy to this day, but in this uber polite society I’m not sure sarcasm like that would come over all that well. I is for Ice Hockey. Or just plain old hockey in Canada, where the non-ice version is referred to specifically as ‘field hockey’ which I refer to as that sport they tried to get me to play at school that I managed to get out of – and that my shins have thanked me for ever since. J is for Jaillan; that’s my name and I think it’s as baffling to the Canadians as it is to the Brits, so as least some things have remained a constant in my life. K is for Kijiji. In the UK we have Gumtree to buy and sell second hand cars and gear. Even we Brits know they have Craigslist in the States, but in Canada they have their own dedicated site for buying their second-hand monster trucks, hockey sticks and snowmobiles. L is for Liquor Store. As in a special store you go to buy alcohol. To a European like me the idea that you can’t buy wine in the supermarket seems utterly bonkers. Every single time I see the token bottles of non-alcoholic wine on the supermarket shelves the same thought goes through my mind – what on earth would happen if they tried to enforce this law in France? L is also for Lululemon, probably the world’s most talked about brand of yoga clothing. M is for Miracle Whip. One of the slew of brand names I used to know only from watching TV (and by TV, I mean Friends), this is like mayo, but naughtier because like many of the Canadian or American versions of foods it’s packed with artificial sweeteners and all that other good stuff. I therefore find it highly exotic that I have Miracle Whip in my fridge. N is for Nanaimo bars, another yummy sweet Canadian invention that’s like a cross between a cheesecake and a caramel shortcake and which never made it across the pond, and which I therefore only discovered for the first time in the past year. 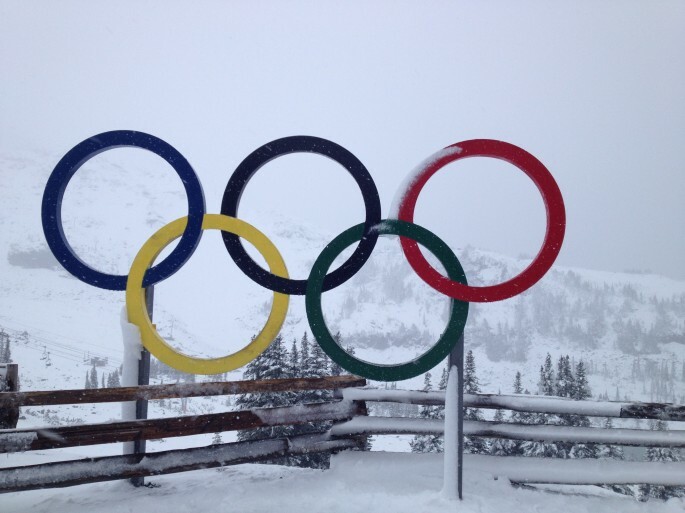 O is for Olympics. 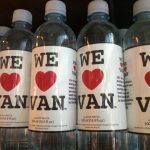 Vancouver hosted them in 2010 and people still talk about them as fondly as we Londoners talk about our own Olympic Games – but the curious hangover from the sporting event here is that it’s virtually impossible to find a bar that doesn’t have 20 TV screens. 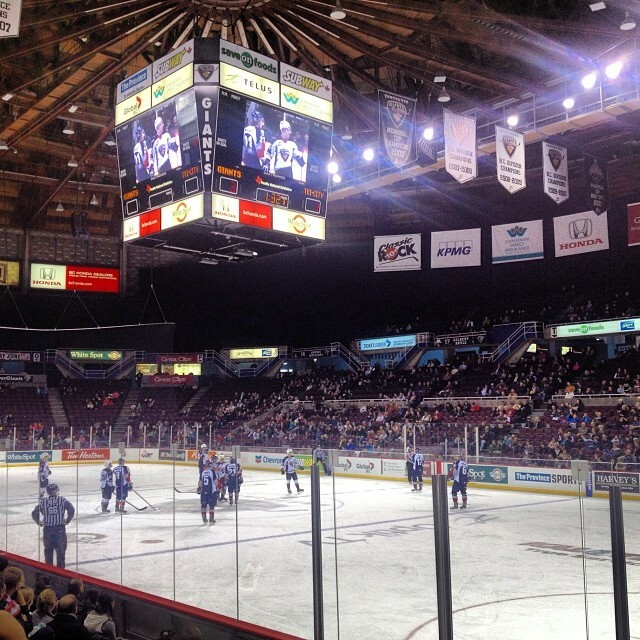 Apparently most places installed multiple extra screens during the games and they just never took them out again. Makes it tricky if you want to have a conversation in a bar, especially with a guy, who let’s face it is probably delighted there’s wall-to-wall sport to divert him from listening to you talk about your new haircut, or what that girl you hate at work did today..
P is for pudding. Every time I ask what’s for pudding Canadians think I expect to be presented with an actual cooked hot pudding, but what I really mean of course is dessert, of any kind. It could even just be a biscuit or a Snickers bar, really I’m not that fussy. Q is for Queue. And not just because not many words start with a Q but because people really do queue here. I haven’t seen orderly queues for the bus this neat since I went to Finland. 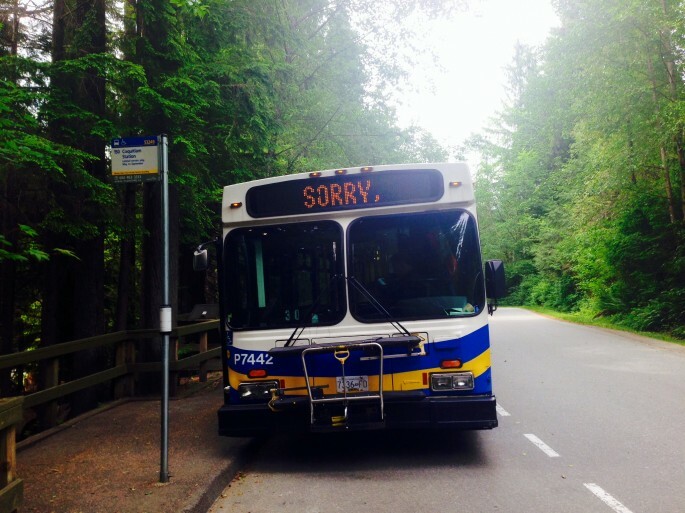 Also when the people of Vancouver get off the bus they all say thank you to the driver too. Coming from a city where people will literally elbow old ladies and little kids out the way to get on a bus, I find that amazing. R is for raccoons. We may have covered this earlier but these are still new to me. In London it was foxes that were the nocturnal raiders of my garbage bins, here it’s entire families of raccoons that look cute but will bite your arm off for a sniff of leftover poutine. T is for Tire. Not Tyre. Last week I told my mum (or should that be Mom?) that I had a flat tire and was duly, and quite rightly ridiculed for picking up Americanisms in my spelling. U is for underwear, the Canadian word for pants, because pants are trousers. Ah linguistics, eh?! V is for vest, another clothing related misnomer, because the Europeans think a vest is a sleeveless T-Shirt while the Canadians think it’s a body-warmer – though the Brits and French Canadians probably get along best here because we both call that a gilet. W is for Wings. Drinking beer and eating wings really is a thing in North America, and a damn good thing too. X is for X Factor. The funny thing about moving abroad is that you miss things you never would have thought you’d miss. Despite all the highbrow BBC4 documentaries I can’t get on Canadian TV, the one show I was overjoyed to discover on an obscure Canadian channel recently was the UK version of X Factor. I really hope the Canadians can understand Cheryl Cole better than the Americans did, but if not, well you can just look at her pretty face, pet. 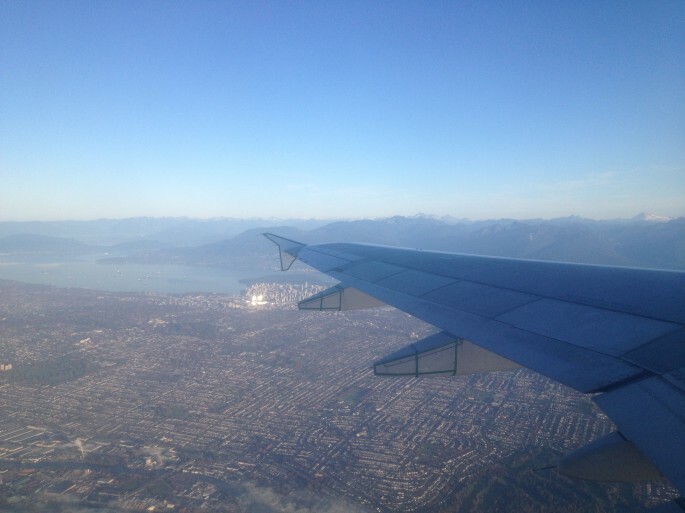 Y is for YVR. Fact fans: Virtually all the Canadian airports’ 3 letter codes start with a Y followed by two more letters to describe the city in question. Vancouver is YVR: Yes Very Rainy. Z is for zip lining. Living so near the mountains makes zip lining an actual option as something to do at the weekends, and you wouldn’t get that living in London.